Tag Archive | "clean up"
Get ready for colder weather with quick and simple outdoor clean-up tasks. (StatePoint) Fall is the ideal season to tick items off your home exterior to-do list. The weather is finally cooler, making the work more enjoyable; and a thorough fall clean-up will give you peace of mind all winter. Your MVP during home maintenance season can be the pressure washer. Up to 75 times more powerful than a garden hose, a pressure washer is a versatile tool that offers an efficient way to get a variety of cleaning tasks done. Once you’re ready to stash away outdoor furniture for the season, remember to wash it down first for a deeper clean than a garden hose can provide. Before moving these items into storage, first let them dry completely. Rejuvenate driveways, patios, sidewalks and other large flat surfaces quickly and with no streaking using accessories like the Briggs & Stratton Surface Cleaner that works on a 14-inch diameter in one stroke. It features a dome shape to control overspray to protect walls and flower beds. Cleaning your grill is a breeze with a pressure washer. First disconnect the propane tank and move it away from the area. Disconnect any electrical lines. Prop up the hood and remove the grates. Treat the entire grill with a degreasing solution, working from the bottom of the cart up to the grill bed. Let the degreaser work for a few minutes. Be careful around gas hoses, connections, electrical components or heating elements. Using a general medium-pressure spray pattern, flush detergent and rinse any residue, working from the top down. Let the grill dry thoroughly, then coat with nonstick oil to help reduce future build-up. Operate a pressure washer only outside, far away from windows, doors and vents to reduce the risk of carbon monoxide gas from accumulating and potentially being drawn towards occupied spaces. Always wear goggles and closed-toe footwear when operating a pressure washer. Don’t spray near children, pets, electrical wires, or power lines. After use, allow the unit to cool down before storing. 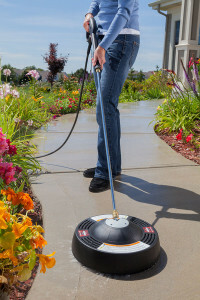 For more outdoor fall cleaning tips, and for resources on choosing a pressure washer right for your home’s needs, visit www.briggsandstratton.com. A cleanup crew with bags of debris they picked up during the Cedar Creek and White Pine Trail cleanup last Saturday. Photo courtesy of Craig Owens. The Logo for this year created by Lily Fulkerson, a student at Creative Technologies Academy. Photo courtesy of Craig Owens. It was a warm, sunshiny day last Saturday, April 26, for the annual Cedar Creek and White Pine Trail Clean up. 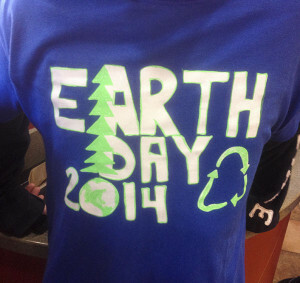 The event takes place every year in Cedar Springs the Saturday after Earth Day. About 30-40 people were split into groups and cleaned up assigned areas along Northland Drive, 17 Mile along the creek, Main Street, and other areas. Besides bags of trash being picked up, the e-waste trailer was set up behind City Hall and manned by the Cedar Springs Rotary. The police department also auctioned off bicycles. Volunteers received a special t-shirt, with the winning logo created by Lily Fulkerson, a 7th grade student at Creative Technologies Academy. She also won the logo contest last year. Eco Club member with her prizes from the creek. 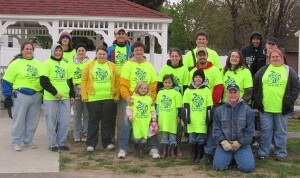 Part of the group that helped clean up the area. About 50 people turned out Saturday to help clean up Cedar Creek and the surrounding area during the 4th annual Cedar Springs Earth Day celebration. Besides the cleanup, the city also did a drug take back, an e-waste collection, and held a city surplus auction. Jeff Edwards (back) from SME, the city’s environmental firm, with Bill Burns (front) and a member of the Eco Club (left) working in the creek. Fertilizers with slow release nitrogen produce long lasting green lawns. 1) Begin with a good spring clean up, which includes raking leaves and removing debris, tree guards and burlap. Just be careful not to remove mulch from perennials or shrubs too early, or to rake your flower garden too vigorously. Doing so could damage the soil, tendering new bulbs and emerging plants. 2) Clean, repair, sharpen, lubricate and tune all of your garden tools, mowers and trimmers, so they are ready to go when you are. 3) Testing your soil is the starting point of any lawn fertilization program. Consider testing your soil each time you plant new seed. State Extension services and private labs offer kits that let you mail in soil samples for analysis. 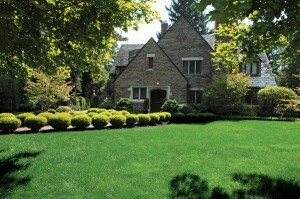 The reports will give you an accurate reading of what your lawn needs and how much of it should be applied. While tests don’t have to be done every year, they are a good idea every three or four years. 4) Control crabgrass, dandelions and clover, three of the most common weeds you’re likely to see trying to take hold in your lawn. Crabgrass is best tackled before it emerges from the ground and begins to grow leaves. Conversely, members of the broadleaf weed family—like dandelions, clover, plantain, chickweed, and spurge—require a treatment that comes into direct contact with the plant’s leaves, so they must be dealt with, once they’ve made their appearance known. Be sure to choose a product that is best suited for your region. Look for lawn fertilizers with a slow-release nitrogen ingredient for strong roots and long lasting results. Once you get it on the lawn, you’ll be done for the season because the slow-release nitrogen provides your lawn with controlled, steady nutrition, resulting in thicker, healthier grass. That means no excess growth, and less mowing. 5) Set your mowing height at 2 1/2 to 3 inches and mow at the same height all growing season. Try not to remove more than 3/4 inch of grass at any single mowing. Whenever possible, mow during the cooler morning or evening hours to avoid damage to the turf. 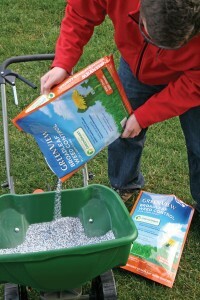 For additional lawn care tips and more information about the complete GreenView with GreenSmart product line, visit www.greenviewfertilizer.com or call 1-800-233-1067. 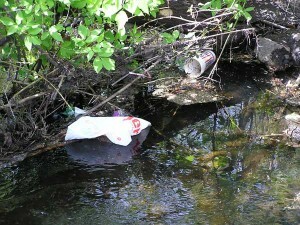 This shows how trash can mar the beauty of Cedar Creek. Post photo by J. Reed. 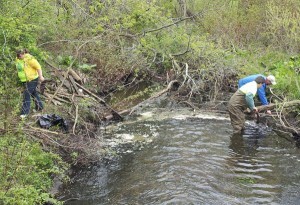 It’s that time of year again—time to get out and clean up Cedar Creek and the surrounding area! 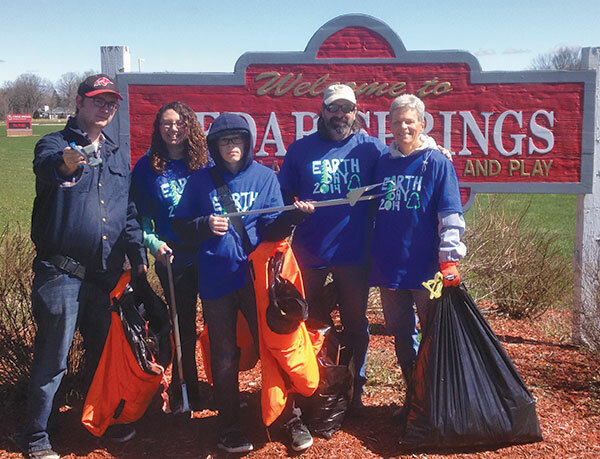 The City of Cedar Springs will be holding their fifth annual Earth Day cleanup on Saturday, April 28. The day starts at 8 a.m. with E-waste collection behind Cedar Springs city hall. Bring all your electronic waste for disposal such as computers, monitors, keyboards, cell phones, radios, stereos, laptops, VCRs, modems, power cords, etc. This will be staffed by the Cedar Springs Rotary. Then meet at 10 a.m. at the trail staging area on W. Maple Street (west off Main) to clean up Cedar Creek. Volunteers report to the staging area to receive their t-shirts and clean-up assignments. The first 100 registered get a free shirt. New this year is a limited number of trash picks and waders for volunteers to borrow. There will be a city surplus auction at 1 p.m. Visit the city’s website at www.cityofcedarsprings.org for a list of items, and to download a registration form for the cleanup. Registration is not mandatory to participate, but it does help the city to pre-assign clean-up locations, and plan for the purchase of trash bags and t-shirts. Cedar Creek is one of our greatest assets. Our town, the second village in Kent County, was established along that creek and named for both the springs that flowed from it and the Cedar trees that bordered it. It supports wildlife and flora, and is a key component of the future plans of this city. Our city will only be as beautiful as we make it. 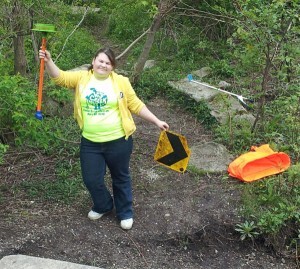 Teens from Creative Technologies Academy hit the White Pine Trail last Friday, April 29, to pick up trash. Half of the group cleaned the trail from Pine Street to Morley Park, and the other half went north, from Pine Street to just north of 18 Mile Road. The group collected eight large bags of trash in the 2-1/2 hours they cleaned.